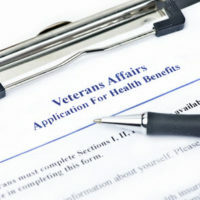 Disability compensation is administered by the U.S. Department of Veterans Affairs (VA), and is a tax-free benefit, according to the New York State Division of Veteran’s Affairs. This benefit is earned by veterans who have become disabled due to military service-caused physical or mental injury, or have become sick during their active service. Additionally, disability compensation benefits are paid to veterans who have become disabled after their service, provided that their disability is considered to be related to their previous service. The amount of compensation a veteran can receive is dependent upon their level of incapacitation. The maximum disability benefits that a single veteran can receive is currently $2,900 per month, although that number rises slightly if the veteran has a spouse and/or children. Securing disability compensation can be difficult, and many veterans prefer to seek the legal counsel of an experienced New York attorney. The Department of Veterans Affairs (the VA) made an incredibly large mistake in recent years when it accidentally overpaid tens of thousands of disabled veterans. Indeed, 187,000 veterans (two percent of all veterans who receive benefits) have received intimidating notices from the VA of the overpayments, which must be paid back or else all future disability benefits will be taken away. Some veterans, instead of receiving their monthly disability benefits, are receiving bills of $10,000 or more, according to Vice News. The problem is that very few veterans knew or suspected that their benefits were wrong, and the money has long since been spent on paying the mortgage, gas, groceries, and other everyday essentials. The issue became apparent to the VA when the administration was put under pressure to reduce the backlog of claims back in 2013, when the average disability claim took almost a full year to be processed. The department was under so much pressure from Congress that top the official of the VA’s benefit program was called upon to resign by the chairman of the House Veterans’ Affairs Committee. The number of overpayment notifications began to skyrocket in the years afterwards as the VA began to recognize its own mistakes. While the backlog has since been reduced after hiring thousands to the VA staff, the VA is still having trouble keeping up with life changes that veterans go through that could alter their benefits, such as getting a new job, getting a divorce, dropping out of school, or being incarcerated. After risking one’s life and sacrificing their body day in and day out, and as a result becoming fully or partially disabled, losing these benefits is a knockout blow to many families who depend on their VA disability benefits. Many have no way of “paying back” these astronomical overbillings, which quite often reach into the five digits. For help securing disability compensation, contact the White Plains Law Office of Michael Lawrence Varon today. We are eager to help you with your case today.